Why is there foam in my gutter?? Posted on 07/10/2015 by Gold Country Roofing, Inc.
Today I received a call from a homeowner who had a GAF roof installed about 5 months ago by another local company. Every time it’s rained since the roof was installed, he finds foamy water in his gutters. He was a little concerned as to why this is happening and whether it would hurt his plants, so he called the company that installed the roof and was simply told “this is normal”. Unsatisfied with this answer, he started calling around and reached me. In the few years I’ve been here, I’ve never heard anyone mention this issue. I apologized that none of our roofers were here at the moment for me to ask, but suggested he contact GAF directly. Since I prefer to give helpful answers rather than pacify clients with “it’s normal”, I couldn’t just leave this alone even though he was not our client. I also felt it was important for me to know the answer for anyone else who may ask, so after some unfruitful searching online, I decided to ask our rep at Owens Corning. He replied that during the manufacturing process for all shingles, a soapy water is used to cool the shingles and prevent the bundles from sticking together. Sometimes too much is applied and it leaves a heavy residue. Then when it rains for the first time after installation, it foams up and looks like your shingles are being washed. This is nothing the homeowner has to be concerned about as it will not stain surfaces or harm plants, and should only happen the first or second time it rains. (The homeowner said this has happened during every rain for the last 5 months, but it’s been a relatively dry spring so it may just not have rained heavily enough to have washed it all away.) He also informed me that in very rare instances, the copper used in shingles to prevent algae can cause the water to foam. I called the homeowner back to tell him what I’d learned. He had already contacted GAF who will be sending an inspector out, but he was very surprised and thankful that I’d taken the time to call him back with answers. I told him it was a new question for me so I wanted to know the answer, and wanted to make sure he got the answers he was seeking. He said he appreciated this and wished the people who installed the roof would have told him this. It felt really good to have an opportunity to provide him with answers after his roofer couldn’t. I did not initially have the answers he needed, but was able to get them within minutes of asking our rep. I work with a knowledgeable, wonderful crew, and our company has formed great relationships with our vendors and manufacturers. I am surrounded by the best team I could ever ask for, which in turn helps me provide better service. It’s things like this that make me love working here. Posted on 06/02/2011 by Gold Country Roofing, Inc.
We often get calls from clients who are experiencing a leak or some other concern, only to find the problem stems from their attempts to install or repair something themselves. While we understand their desire to take matters into their own hands, we advise you to proceed with caution. Read your roof warranty carefully before attempting any repairs or installing any item that could damage your roof and/or void the warranty. Third party entities, (for example, heat & AC unit installers), can also cause damage and void your warranty. Protect yourself and your investment from costly DIY or third party mistakes. 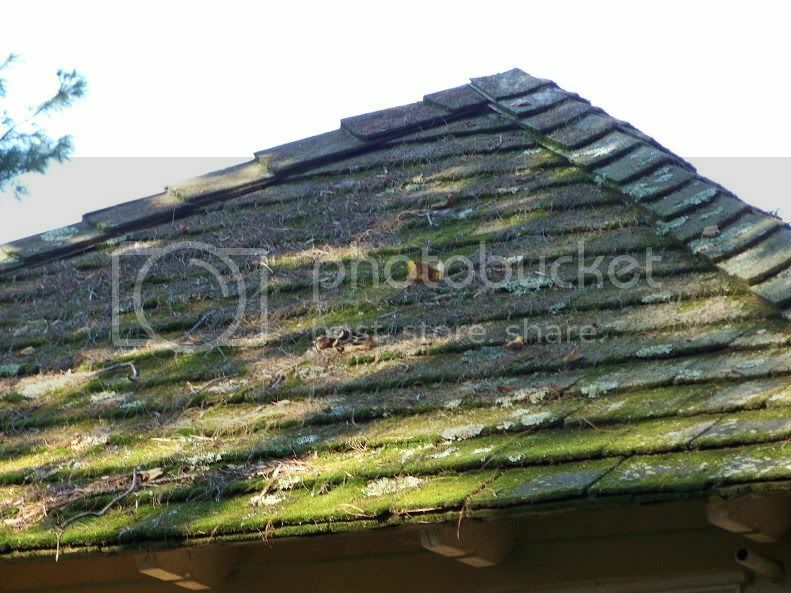 Dust, debris, algae, “presents” from area wildlife… over time, this build-up not only becomes unsightly, but may also encourage deterioration of your shingles. Keeping your roof clean is important and so is the cleaning method you use. Harsh chemicals or excessive scrubbing can remove the granules, damage the shingles and even void your roof’s warranty. Periodically blowing off your roof is a good way to maintain overall cleanliness, but if the build-up has gotten out of hand, the spray nozzle on your garden hose can often do the trick. IMPORTANT: DO NOT power wash, and avoid spraying your roof at an upward angle that will force water up underneath the shingles. With Nevada County’s plentiful foliage it doesn’t take long to accumulate a solid layer of debris on the roof. Roof shingles are designed to shed water rapidly downward and off the roof, so when debris is allowed to collect, the shingles are not able to drain and dry properly. Standing water leads to premature rotting of the shingles and growth of algae, and water tends to wick upward, finding its way up underneath the shingles and into your home. 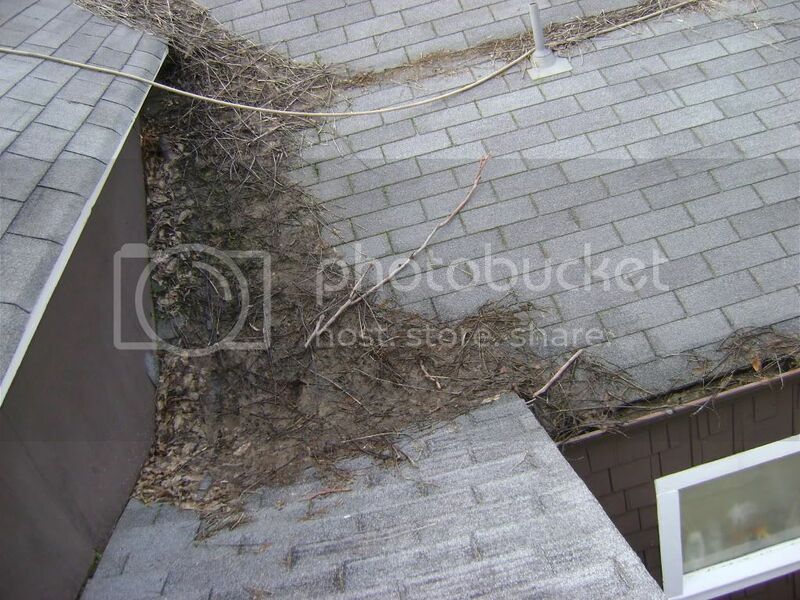 NOTE: When cleaning out your gutters, watch for any roof granules that have accumulated. Excessive granule loss is a warning sign that your shingles may be reaching the end of their life. It’s not always easy to spot a problem until it’s become a big and costly one. Sometimes leaks can be difficult to diagnose even for seasoned professionals. However, anyone can keep an eye out for signs that their roof is in need of maintenance, repair or replacement, and take action now to avoid more expensive problems later. Posted on 01/27/2010 by Gold Country Roofing, Inc. The most common cause of roof leaks on metal roofs are loose screws. Here in the foothills of Nevada County, the change of temperature from winter and summer combined with temperature changes during the day can be substantial. This temperature change exerts stress on fasteners on metal roofs. This stress causes fasteners to back out or unscrew. These screws often will lift along with the washers that seal the fastener, which provides an opening for water to enter. The stress on metal roofs from expansion and contraction also will eventually cause the holes in the metal panels to enlarge. 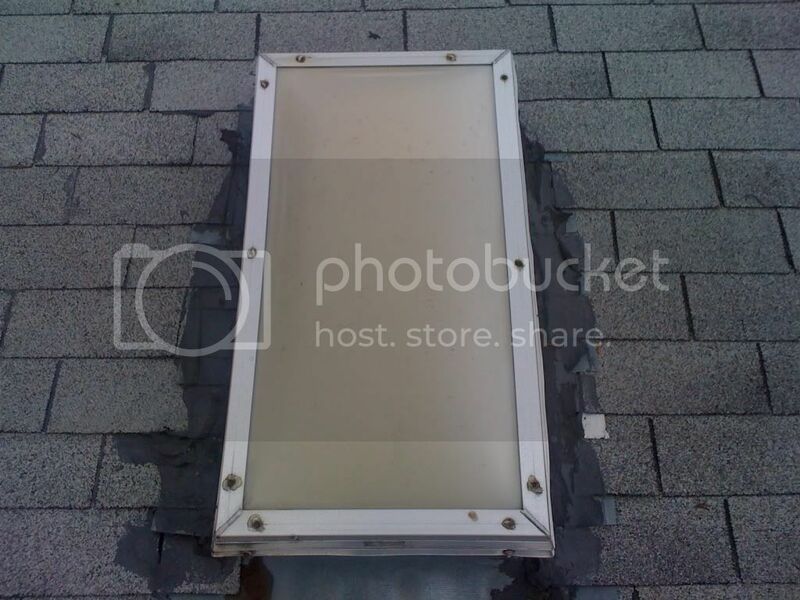 This is the major cause for metal roof failure. There are several strategies for repairing or maintaining a metal roof. Inspect metal roofs for loose fasteners and tighten regularly. Coat your metal roof with highly reflective coating to reduce the effect of temperature change. Seal fasteners with a strong adhesive flexible caulking. A professional roof coating job can add years to your metal roof. Gold Country Roofing in Grass Valley, CA uses ER Systems coating products and systems to repair and maintain metal roofs. When you remodel, start with the roof. Posted on 07/16/2009 by Gold Country Roofing, Inc. The top photo is of a job we finished in Penn Valley, CA. The owner had just purchased the property and due to insurance requirements had to remove his wood shake shingles. The bottom photo is the original shake shingle roof. As part of his major remodel process Jeff Kenney chose Gold Country Roofing to completely re-roof 3 structures on the property. In this economy it seems like more and more people are choosing to remodel in order to save money. Now is the perfect time of year to take a look at your roof and see if it’s time to invest a little to save yourself a lot in the future. Don’t wait until you notice water stains on your ceiling or you get dripped on in the middle of a storm. If you have any questions or would like to receive a free estimate for your roof, don’t hesitate to contact us. Posted on 06/23/2009 by Gold Country Roofing, Inc. Here are are three ways to be smart about your roof during the summertime. Don’t wait until winter – in Nevada County, winter freezing starts early! Check back soon for more great tips on how save money (and save your roof)!